Returning this season, PUMA’s contemporary Thunder Spectra runners are delivered in two new minimalistic colourways. 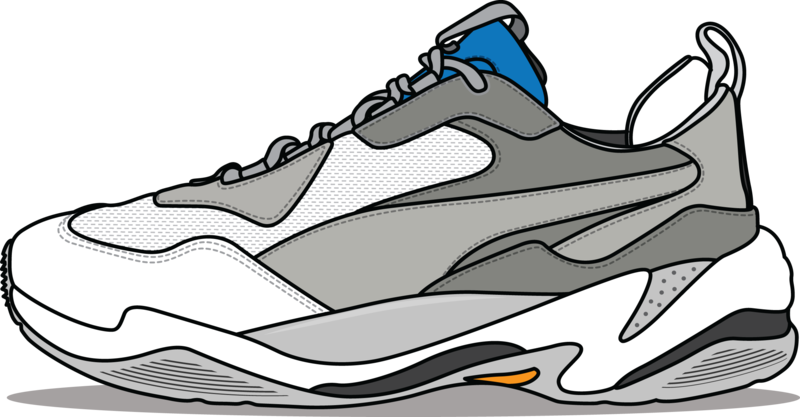 With the chunky footwear trend being in full swing over the last few years, many brands have revisited their traditional sneakers of the past, PUMA being one of those. The German sports giants have retooled the look of their vintage runners and added a futuristic take with their new Thunder Spectra. The shoe draws inspiration from the brand’s catalogue of 90’s running silhouettes and their past collaborative work with Alexander McQueen. After launching ‘PUMA by Alexander McQueen’ in 2005, the partnership has birthed many models channelling the late designer’s attention to detail and flair for the dramatic. Praised for his ability to blend contrasting creative influences, McQueen continuously infused his own flamboyant style with PUMA’s performance innovations to create fashion-forward athletic shoes that could be seen as the beginning of the ‘normcore’ bulky footwear trend. Stylistically merging sports aesthetic with high-fashion, this season PUMA’s Thunder Spectra arrives in two original make-ups, painted in ‘Black/White’ and ‘White/Grey’ colour palettes. The former’s multi-layered upper consists of contrasting monochrome tones, with accents of red to the tongue and pops of yellow on the outsole. The latter receives complementing shades of white and light grey, accented with a light blue hue to the tongue. Their colour-blocked uppers are crafted from a breathable lightweight nylon, combined with premium leather and suede overlays for a luxurious design and feel. The pairs athletic shape is given additional structural support, with the addition of a moulded TPU system to the sidewalls, and incorporates a stacked Injection Moulded EVA midsole and patterned rubber outsole. 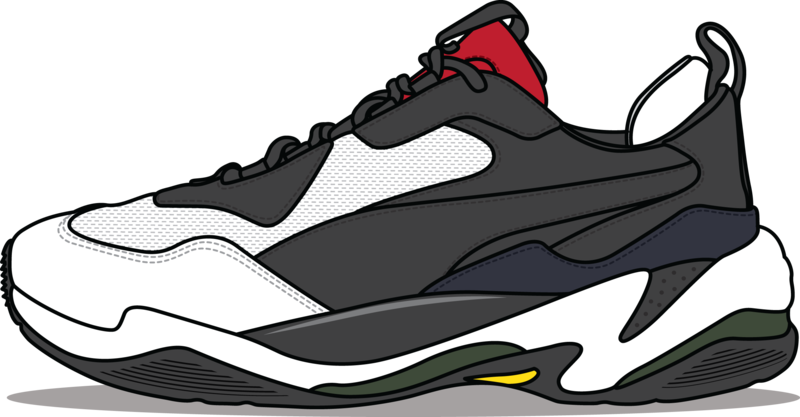 The new colourways of the PUMA Thunder Spectra are available online and in selected size? stores from Saturday 1st December, priced at £110. We’ve also got an extensive selection of PUMA Thunder available online now.